First UMC has been blessed with the spiritual leadership of 14 pastors. Each had different strengths and amazingly were the right person at the time they served this faith community. Thirty-five years! 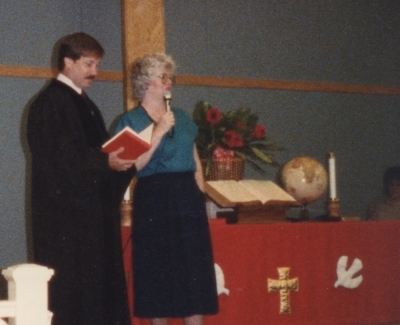 This web site is full of stories about the last 35 years of meaningful ministry and community at First United Methodist Church in Pflugerville. I have been here as pastor for only the past five years, and during that time we have been wrestling with who we are going to be in the future. As I prepare to move on, I thought it might be helpful to look toward the future and to wonder what will this church look like in 2053, 35 years from now. I think more than at any time in our history we are living in a period of truly radical change in the church, the kind that happens only every few centuries. Those of us in our western culture are witnessing a trend that will show that the number of people who are churchless (having no church affiliation) will soon eclipse the churched. So, what’s likely for the future of this church? I believe it is very possible that we can grow and gain. In fact, the potential to gain is greater than the potential to lose. Why? Because the church was Jesus’ idea, not ours. To the degree that we allow Christ to guide us, we will realize that Christ has an incredible history of pulling together Christians in every generation to share his love for a broken world. I think our denomination certainly might look different and the difference between churches that die and those that survive will be determined by those who cling to the mission in contrast to those who cling to the model or the “way we do things.” Just look at the changes in the publishing, music, and even photography industry in the last few years. See a trend? The mission is reading. It’s music. It’s photography. The model always shifts . . . moving from things like 8-tracks, cassettes, and CDs to MP3s and now streaming audio and video. My prayer is that our church will stay focused on the mission (leading people into a growing relationship with Jesus) and be exceptionally innovative in shifting our model. The church will continue to gather because the church is inherently communal, which is why there will always be an organized church of some form and church members will be far less focused on “What’s in it for me?” And the overriding focus will be on a Gospel that calls us to die to ourselves—to lose ourselves for the sake of Christ. As this church reformats and repents, a more authentic, more selfless church will emerge. We will still have to make decisions about music, gathering times, and even some distinctions about what we believe, but the tone will be different. When you’re no longer focused on yourself and your viewpoint, a new tone emerges. Our gatherings will become less about us and more about Jesus and the world he loves. Rather than a gathering of the already-convinced, the church will be decidedly outsider-focused. In the 2053 FUMC, being right will be less important than doing right, which will involve social justice and meeting physical needs. It also will involve treating people with kindness and compassion in everyday life and attending to their spiritual well-being. This is the kind of outward focus that drove the rapid expansion of the first-century church. 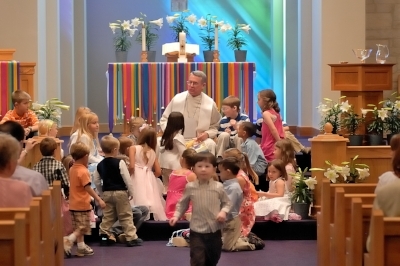 For years, the assumption has been that the more a church grew, the more activity it would offer. The challenge, of course, is that church can easily end up burning people out. In some cases, people end up with no life except church life. Some churches offer so many programs for families that families don’t even have a chance to be families. The church at its best has always equipped people to live out their faith in the world. But you have to be in the world to influence the world. I hope FUMC will focus our energies on the few things the church can uniquely do best and things that will complement people’s witness, not compete for people’s time or compete with their witness. In 2053, I see a similar group of people who love Jesus and love their community, making a loving and caring impact on the exploding metropolis of Pflugerville and its suburbs of Austin and Round Rock! I pray peace for that journey! In the spring of 1979, Ron Campbell and I were members of St. John’s United Methodist Church, in Austin, Texas. Our son, Brent, was three years old. Ron was on staff at St. John’s and attending Austin Presbyterian Seminary. After attending the Methodist Annual Conference that spring, Ron came home with some exciting news. Apparently, there was a group of families in Pflugerville that wanted to start a United Methodist Church in their community. The district superintendent asked Ron if he would meet with these families and help them begin planning for a new church. Ron was very excited about being a part of what was sure to be a challenging and wonderful adventure! Of course, I was very happy for Ron as well. However, I felt like St. John’s was my church, and I told him I would continue to worship at St John’s. I completely supported Ron’s decision to go help the families in Pflugerville. After Ron’s first meeting with the families, he knew these folks were very special. He described them as “on fire with the Holy Spirit.” They were already united as a Methodist Church. Ron described them (Pflugerville UMC) as “on fire with the Holy Spirit.” They were already united as a Methodist Church. I believe it was Easter Sunday, April 3, 1983, when they planned a picnic in the park after worship. Ron asked me if I would join him in the celebration. Of course I said yes, but I was firm in my decision to remain as a member of St. John’s. After attending that picnic and meeting these wonderful people, I too was filled with the joy, excitement, and yes, the Holy Spirit! I could feel that God was at work in these families! He was doing something great, and I wanted to be a part of it! 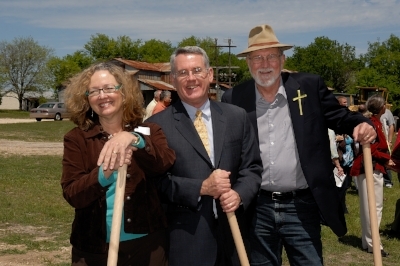 From that moment on, I knew that Brent and I would be at Ron’s side helping in any way we could to be a part of the beginning of Pflugerville United Methodist Church. Nothing seemed to stop or slow down the charter members of Pflugerville UMC. Worship was held in the town fire hall. We had no air conditioning—no problem! Sunday school was held in Marshall’s Tavern—no problem! Even the very hot summer we spent fighting the heat and gnats did not slow us down. Within the next year the first building was constructed.This was unbelievable! The church had classrooms for Sunday school, offices, a beautiful kitchen, and a large sanctuary for worship. Every Sunday the church was buzzing with excitement, and the Holy Spirit was ALIVE!! Soon the district superintendent appointed a permanent pastor for Pflugerville UMC. The time had come for us to move on. God had other plans for Ron and me and our son. The Pflugerville church community would always be special to us. We made lifelong friends there. Ron conducted marriages and baptisms and funerals of those we came to love during our time there. We were family. The people of Pflugerville United Methodist Church will always and forever be in my heart. I will always treasure and thank God that He allowed us to be a part of the most amazing experience I have ever had. There are no words to describe it, only feelings deep in my heart. Rev. Ron Campbell was a devoted husband, a father to one, a pastor to many, and a friend to everyone. Ron's glass was neither half full nor half empty. Ron's glass was always full. Ron touched the lives of the people in Pflugerville. He was like the pastors of old that would go into a community and spread the word wherever he was needed. In his own words, Ron wanted to be remembered as, "Ron Campbell—school bus driver, teacher, coach, school administrator, counselor, and pastor. He loved all people, but especially children, youth, and little old ladies! He loved to laugh and knew how to cry." The thrill of his life and his deepest satisfactions were his family, his friends, and his church. He was there when they needed him, and he brought joy and laughter to their lives. Above all he loved Christ. He devoted his life to stirring faith in Christ, building his church, and making the world a more loving place. Ron passed away April 11, 2012. 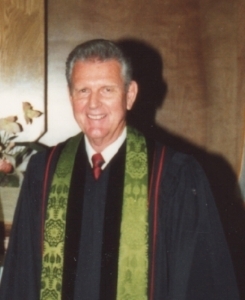 District Superintendent Jim Mayfield approached me in the fall of 1983 to ask if I would be willing to move mid-year to serve full time at the newly organized Methodist Church in Pflugerville. He called it a "gorilla church"—and, surprised, I asked what that meant. He told me that the church was so strong and full of the Spirit that even a gorilla could serve as their pastor. Indeed, the church was started by the membership itself. Though the district did send a part-time pastor in 1983, they had no idea how quickly the little community would grow. By the fall of 1983, they had not only outgrown their space at the fire hall, but they were on their way to building their first unit. This is something that takes years at most churches, but they accomplished it in short order. One of the charter members, Paul Shires, literally bulldozed the building into being with the help of countless members. Early in 1984 (the exact date escapes me! ), we began meeting in the building because there were too many of us for the firehall. Additional chairs had to be brought in many Sundays just to accommodate all the people the members were inviting to church. Growing the congregation was our first and main ministry, and the members excelled at it. Many people who had never attended a church before found a spiritual home in our congregation. I was the only full-time staff person, and volunteers did everything else—the newsletter, teaching Sunday school, the Youth program, the outreach beyond our walls, UMW and UMM, leading Bible studies and adult classes. I got off my high horse and told him I understood, but I wasn’t sure the district committee would understand. We had a good laugh and agreed the beer should be consumed and the bottles hauled away before the dignitaries arrived! We had our growing pains around money and forming community, but were having so many new people join us week in and week out that we had no doubt the Spirit was with us. I think the key to our success then was that everyone—I mean it—everyone—had a job to do at the church. Some kept the building clean, some worked on the grounds. Some served on committees, many taught the children and youth. Some organized potlucks, VBS, special services, and missions. Everyone contributed and everyone mattered. Though I left after only two and a half years, I knew the new church would prosper; they still had a gorilla heart. Jim was very excited about and committed to his appointment to the young congregation. We moved our family out to the area, bought a home, and enrolled the children in Pflugerville schools. I was unable to participate in the church as it grew, having my own calling to FUMC, Austin. From early determination, and with the mentoring of many experienced clergy friends, Jim was blessed to share in your journey of ministry discovery. I know his friendships and experience during those years had a great impact on the rest of his life. The '80s were a rollercoaster ride for the Austin area, bringing in a rollicking economy of large semiconductor businesses and then going from boom to bust. The downturn of the oil industry lowered the boom on all of Texas. Real estate prices plunged, and everyone was in a rebuilding mode. One of his challenges was the refinancing of our church property, including the addition of buying the back 2.5 acres (the church initially was on only 2.5 acres). Errors were made on the original land purchase (titled the back half and built on the front half), so it was imperative the additional acreage was purchased correctly. Under his leadership it was handled. Rev. Jim evolved into the ministry after a short career working for a state agency in social services. It wasn’t a leap for him to be a supportive counselor to many seeking guidance. 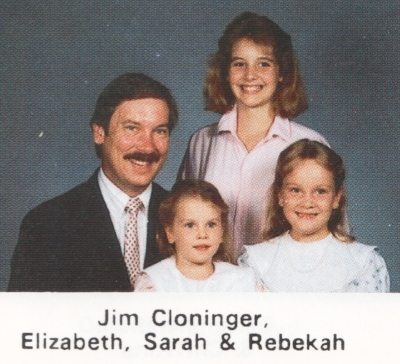 Beyond his ministry, his life was filled raising three daughters in shared custody. He gave the congregation the impression he golfed a lot by all the golf parables he told in his sermons, but I seriously doubt he had the time for many rounds during his time in Pflugerville. Music was also a passion, and he played the guitar and sang in a music group of other members. He played in our FIRST rock band. Maybe not rock, but still a band. Part of his bucket list, I’m sure. Pastoring a growing church with financial challenges wasn’t easy, and faith only goes so far in paying the bills. Our church participated in a large festival called AquaFest in the late '80s, running a food booth as a fundraiser. One Saturday night we had to use all our proceeds to catch Rev. Jim up on his paycheck for the month. Rev. Jim had a few more gray hairs after his service to Pflugerville. There is not a lot I can give concerning church history. I was very involved with elderly parents and my school (UT) and enterprises. The church was Jim’s. The family and I do reminisce about his activities. The district gave him a church to close. Once again he got the church up and on its feet. He just couldn’t quit. Jim graduated from the University of Texas in 1948. He earned a master's degree from Stanford University and completed all but his dissertation for his Ph.D. at American University in Georgetown. Jim served in the Marine Corps in WW II, Korea, and Vietnam (two tours), and the Dominican Republic during his military career. He was decorated with the Silver Star, Legion of Merit, Air Medal, Meritorious Service Medal, Navy Commendation, and many campaign medals. After retiring from the Marine Corps, Jim was called into ministry. He completed a Master's of Divinity at the Austin Presbyterian Seminary. 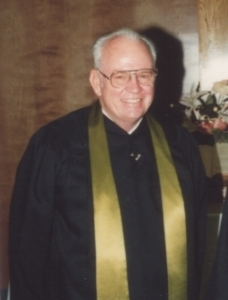 He served United Methodist congregations in Garfield and then moved to Pflugerville First UMC. He also served in Industry, Texas. Jim passed away on Wednesday, March 4, 2015, after a long illness. Rev. Harrell served in Pflugerville for a total of six years but he was a good friend for 25 years. I mentioned to Rev. Harrell that he was replacing Rev. Jim Cloninger, who was also a member of the Pflugerville Sertoma Club, a local service club, and that it was expected he replace Rev. Jim’s membership by participating. I’m not sure if he “fell” for my ruse or just wanted to participate in the community, but he met with his Sertoma friends for 25 years for a weekly breakfast, long after retiring from the ministry. Rev. Harrell was larger than life to some of us for his commitment to our country and our Lord. After multiple tours of combat from Korea to Vietnam to the Dominican Republic, he put his full energies into building our church. This included waiving a paycheck from our church so we could gain some momentum to grow again. Rev. Harrell gave sacrificially without bringing attention to himself. I know this from sitting beside him for 25 years of weekly breakfasts. Pastoral visits, most often with a gift of bread, was his calling card to many families. Rev. Harrell had a great sense of humor, and I still quote him often. One of his admonishments to me when I might embellish a story was to remind me, “You can go to hell for lying just like you can for stealing.” If I was too rebellious having fun, he would curl up a fist and suggest he would send me to the moon without a rocket. I’m told he may have appropriated that line from Jackie Gleason. I would not credit Rev. Harrell with the best sermons in our church history, but he preached his heart and morals and work ethics and made an impression. His strengths weren’t the same as the pastor before and after, but he came at the right time and plugged a hole to keep our church family together. I was a retired colonel USAF and worked part-time, 20 hours a week, at First United Methodist Church. My duties included development of church growth, home and hospital visitation, participation in worship services, perform weddings, conduct funerals , etc. The average attendance at Sunday worship services during 1990, 1991, 1992 was l28. 55 new members were added to church roll during that period. When joining the Pflugerville staff. Jim Harrell, senior pastor of the church, made the remark to me, "Walt, the presiding bishop doesn't think the Pflugerville church will survive. I want you and everyone else to know that I was not sent here to bury the church but to give it life. Together, I think we can make a difference." On another occasion, Jim said to me, "Walt, we need to get rid of those pesky fire ants on the church property." He grabs a can of fire ant killer and began spraying the fire ant mounds. I am not sure what Jim was thinking, but my guess is he was saying to the fire ants: ''this is not your property, it's church property, and we are going to build a new church on this location." Well, Jim, wasn't able to build the new church, but he sure laid the foundation for succeeding pastors to build that church. It was a great pleasure to work with Jim and to serve the Pflugerville congregation. My thanks to all of the church members for their support. We appreciate receiving the church newsletters that keep us informed about the events of the church. By all means, we congratulate PFUMC on the celebration of its 35th anniversary. Frank's first sermon was on the second Sunday of January 1995. He was scheduled to preach the first Sunday, but our district superintendent filled in for him, telling the congregation that "Frank would be there next week, assuming he got out of prison." Actually, Frank was one of the clergy on a Kairos prison ministry team. Frank's last sermon was on the first Sunday in June 2002. He served the church for seven and a half years out of the 35. 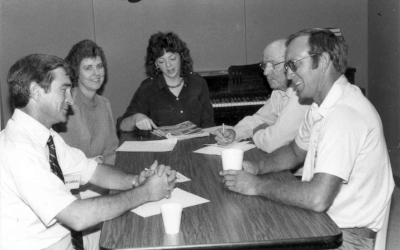 During that time Marian and Frank were blessed to be part of the growth in both worship and Sunday school attendance, Disciple Bible Study, Stephen Ministry, Walk to Emmaus, Kairos prison ministry, Meals on Wheels, prayer team, music ministry (especially the 9 a.m. Pflaming Glory band), purchase of additional property, and the construction of an Administrative/Education building and a new worship center. There were many instances of spiritual growth during our time at PFUMC. Certainly the impact of the Walk to Emmaus experience and the Disciple Bible Study brought many of us on a closer walk with Jesus. All of this would not have been possible without the dedication and hard work of the faithful members and paid staff of the church, including Administrative Assistant Denise Cornelius, who managed all the affairs of the church office and was Frank's right hand, youth leaders Tiffany Walker (now a lawyer in Austin) and Ryan Barnett (now the senior pastor of the Waco United Methodist Church), and Frank's sidekick Associate Pastor Brenda Allen (Bone). 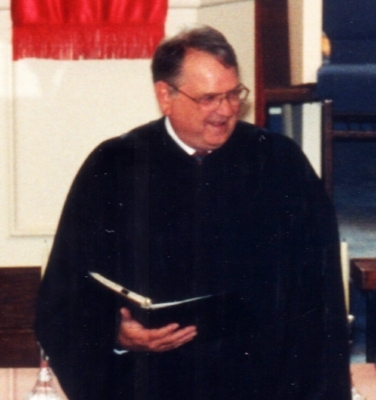 Barrett was the officiating pastor when I married, but soon afterward left Covenant. Although we enjoyed the new pastor, Barrett held a place in our hearts, and upon learning that he had accepted a position as associate pastor at Pflugerville First United Methodist Church, we began our transition to attend here. This church was closer to our home, and as Barrett was close to our hearts, we decided to move our membership here. I did not know Barrett Renfro deeply, but I particularly remember him talking about prayer and how prayer was a way of talking with God in a manner that brings you closer to Him. His message was that if you don’t know how to pray, just start out by talking with Him, as you would with a friend. He even said it’s okay to let Him know that you are mad, or upset at an outcome that you don’t understand, but to always trust that only He knows why we are where we are and how we will be moved in our places. That stayed with me as I began to develop my relationship with God in a deeper way than I had known before. I was saddened to recently find that Barrett Renfro had passed away, but I will forever be grateful to him for bringing me closer to God and into a family of faith that has held me up through many trying times and has celebrated the joys in life that I’ve found. I have been a member at PFUMC since 1996. In 1999 I heard a call to ministry and began to pursue biblical studies at Austin Theological Seminary. Frank Wolf was the pastor at that time and was extremely encouraging and supportive of my studies. He was the first to show me how to preach! In July of 2000 Barrett Renfro was the part-time associate pastor. When he retired, Frank asked me to come on staff in his place as pastor's assistant, a title he came up with to help me along in my studies. I was responsible for teaching the Methodist information classes, keeping track of visitors and making callbacks, helping Frank with hospital visits, and in return he mentored me along the way. I also led Disciple classes. During that time there were activities almost every night on the church grounds. We were no longer a small church, and we discovered that if you wanted to use a certain room, we now had to reserve it in advance! More than one group was surprised when they thought they were meeting in the kitchen or the FLC and there was already someone there. Denise became the keeper of the calendar. I continued with my classes, worked part-time at the church, worked full-time nights as a nurse at the hospital, and was raising two boys. During that time the church was busy with building the new sanctuary. Our theme song was "Lord, Prepare Me to be a Sanctuary." Tammy Ullrich (now Rebecek) was the choir director at that time. Christmas Eve of 2001 was held in the FLC, which was our worship space at the time. Frank and Tammy moved the whole congregation over to the unfinished new sanctuary to sing "Silent Night" by candlelight. That was one of my very favorite memories at this church. The love of God was transcendent throughout the whole community that season. Emmaus and Kairos were very active, and many of our members were pilgrims during that time. Frank and Marian Wolf were extremely active in Kairos, and opportunities to serve were abundant. When the sanctuary was finished there was a wonderful celebration of the dedication. Our youth group was quite large also, under the direction of Ryan Barnett. The youth were an active and important group in our church, and three of our youth from that time are now ordained ministers. The thing that drew me to this church was the welcoming warmth and friendliness and the unconditional love and support that was offered to me and later to James when we got married. We have always felt nothing but support and kindness from the people here. One of the significant ministries of that time was the introduction of Alpha. Several of us went to Bethany UMC, took the Alpha Course there, and then brought it back to our church in Pflugerville. I remember Gene McConnell, Jack Foreman, and Barbara Ayers being very instrumental in leading the program. One of my best memories is of the Holy Spirit retreats when we all went away for the weekend and prayed for the Holy Spirit to be alive in us. I have very good memories of God’s work among us through Alpha. Alpha was a basic course in Christianity. Its purpose was to tell God’s story to non-Christians. It was a door to the church. I think we did introduce some new people to God through Alpha, and many of our church members were reinvigorated for the Lord because of Alpha. One of the interesting things about my time at PFUMC was that the new sanctuary opened only a month or two before I arrived. We dedicated our stained glass windows during that time, and everyone was very pleased with the sanctuary. Another time of meaningful fellowship for the church during those years was March Madness, a fundraiser. The whole church participated, and we had a lot of fun raising money for the various ministries of the church. Sandy Monzingo and Wendye Mire were often leaders of that program. Cindy Meier was very instrumental in leading a fantastic Vacation Bible School every year. We had 90-plus children participate each year. Cindy was the master decorator who transformed the Family Life Center to portray the VBS theme. I remember our confirmation classes too. We always had adult mentors for our youth, and everyone went on a retreat for a weekend. Those were times when we bonded as a Christian family. Another significant event during that time was that we hired Amy Howell as our youth director. Amy became a very important part of the church. I have very good memories of my time as pastor of PFUMC, but also some challenges. Unity of purpose will help the church to reach out to others. I encourage the congregation to work together for the whole church. The purpose of the church is to share God’s love with the world by inviting people to be disciples of Jesus Christ and teaching them how to do that. You all are in my prayers. May God’s Holy Spirit blow new life into the Methodists in Pflugerville. Pastor Nancy Mossman invited Rev. Terry Dowdy to come as associate pastor to Pflugerville in June 2005. With Pastor Nancy Mossman, and the first years with Pastor Monte Marshall, Pastor Terry preached every other Sunday. This evolved to every fifth Sunday in 2007. He continued to lead worship pand presented the scripture in a storytelling format by memorizing it. A child asked him once, “Pastor Terry, have you memorized the whole Bible?” It seemed so. He had more time to focus on small group formation and other ministries like missions and outreach, nursing home worship, adult education, Alpha, confirmation class, and the design of a third worship service. On Easter Sunday, March 23, 2008, the Creekside Contemporary Worship Service began in the Family Life Center. Pastor Terry preached almost every Sunday at this service. He and Pastor Monte switched every six weeks between the contemporary and traditional worship services. Terry worked with the teams for the church's annual festivals called March Madness and later the Pfamily Pfall Pfestival. He and Pastor Monte started a training program for intentional small group formation by training and leading small group leaders. Pastor Terry retired in June 2011. Pastor Monte said, “The farewell/retirement celebration this congregation gave to honor him was truly a fitting conclusion to this chapter in his life, and a wonderful expression of the affection with which this congregation holds Pastor Terry. I know that it was an experience that he will never forget. Grace and peace to you, the saints of First United Methodist Church in Pflugerville. During the six years that I served this congregation as senior pastor, from 2006 to 2012, God's work, already in progress when I arrived, continued among us. 25 Now large crowds were traveling with him [Jesus]; and he turned and said to them . . . 27 Whoever does not carry the cross and follow me cannot be my disciple. 28 For which of you, intending to build a tower, does not first sit down and estimate the cost, to see whether he has enough to complete it? 29 Otherwise, when he has laid a foundation and is not able to finish, all who see it will begin to ridicule him, saying, 'This fellow began to build and was not able to finish' . . . 33 So therefore, none of you can become my disciple if you do not give up all your possessions. The large crowds following Jesus at the beginning of Luke's story remind me of the disciples who were already present and at work when I arrived at PFUMC in 2006. Critical components for discipleship were in place: people were committed to Christ, worshipping God, seeking the Spirit, learning together, building community, caring for one another, serving others, reaching out in mission, praying, giving, and much more. The church had grown, new disciples had been made, and an infrastructure provided to facilitate the work of the church, including property, space, leadership, and financial support. In the six years of my ministry at PFUMC, the congregation acted to sustain and enhance many important elements of discipleship. People were encouraged to serve in the areas of ministry that sparked their passion. We worked to improve the quality and creativity of our existing worship services. We initiated a new worship service to reach new people. We began a small group ministry. We supported existing missional efforts such as Paula's Food Pantry, while also expanding our outreach with new endeavors such as Christmas in July and a ministry to the homeless. Building an infrastructure for growth was also part of our agenda. These efforts included the purchase of the cotton gin property, the construction of a new education building, renovations to existing buildings, the convening of a long-range planning team, and an ongoing effort to emphasize faithful stewardship. Clearly, the disciples of PFUMC were following Jesus prior to 2006, continued to follow Jesus through my years as senior pastor, and remain on the journey even to this day. I am deeply grateful for God's work among us then, and for all those who said, "yes" in so many ways to following Jesus. "Wait a minute! Do you know what following me really means? From here on out, discipleship will demand more. There are greater costs to pay. The status quo may be good, but it's not good enough. There's something more. How far are you willing to go in following me? It’s best to count the costs, you know, because your life will be on the line." For six years, I tried to take seriously the rest of Luke's story in my preaching, teaching, and leadership of the church, while also being honest with the congregation about my own shortcomings and failures in deepening discipleship. The congregation responded in various ways: Several small groups undertook a study entitled "A Journey of Deepening Discipleship." In the aftermath of a Lenten sermon-series in 2011 entitled "Beyond the Boundaries," a small group formed to consider how to move beyond our resistance to the costs of discipleship and into a fuller experience of life as followers of Jesus. One boundary that was breached resulted in the group initiating a monthly outreach to the homeless in Wooldridge Park in downtown Austin. Finally, at the 2011 meeting of the church conference, PFUMC adopted the Discipleship Circle as a new approach to the journey of deepening discipleship for our congregation. Did the congregation make progress in addressing the rest of Luke's story? I’ll leave the answer to God, and to the judgment of others who were part of that history. I simply remain grateful for the opportunity to have traveled down this path with people I was honored to serve. First United Methodist Church in Pflugerville, you remain in my heart and prayers. I thank God for our time together. Laura Jean sends her love. Keep following Jesus. The future is bright. God has great things in store for you! I am so grateful to have served at Pflugerville First United Methodist Church from June 2011 until June 2016. I arrived as a newly commissioned elder, serving as the associate pastor. Two years after I was appointed to serve on staff I was ordained. During my five years on staff, Rev. Eric Vogt, also an ordained elder in the UMC who served at Servant Church during my time at Pflugerville, and I welcomed our two sons into our family. Caleb arrived in February 2012 and Jacob in July 2015. One of the most wonderful gifts the community gave us was to support our family. From showering our boys with gifts and love to generously understanding the unique challenges clergy couples face, we felt supported in our work as pastors and as parents. 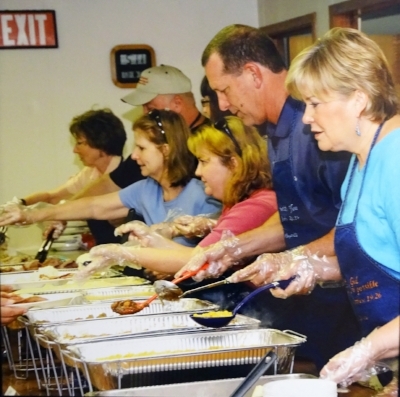 Pflugerville FUMC has a long history of caring about families, especially focusing on youth. I learned a tremendous amount about preaching, leading worship, and working with other staff when I facilitated the “contemporary” service, Creekside, in the Family Life Center. When I first came on staff, the Creekside service ran concurrently to another service in the main sanctuary. While it was a big change to shift the worship services from three to two, I think the willingness to make a change like that reflects the importance of flexibility and openness to different seasons in the life of the congregation. When Creekside began it was important to have three services. When the congregation shifted to two services it helped to focus the worship and outreach more on community and less on music or style preferences. One of the ways I saw the Holy Spirit moving during my time on staff was in the focus on expanding children and family ministries. A focus on youth and their families has always been important to FUMC. Under Amy Howell’s leadership the church expanded its focus to include engaging younger children and their families with more intentionality. While it’s hard to expand those ministries, I pray that the congregation continues to welcome children, families, and youth, as well as young adults and adults of all ages with purpose. Each demographic has different needs and strengths. 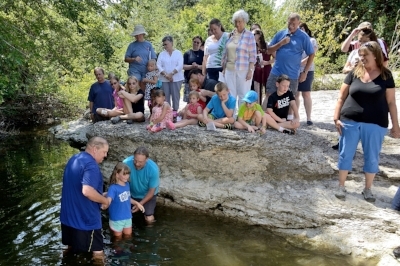 It takes a tremendous amount of energy to welcome all, but Pflugerville has consistently recognized that they have a unique place in the community as the only United Methodist Church in Pflugerville. After having served in two other churches since my time at Pflugerville FUMC, I now recognize how special it is to be the only UMC church in the community. Pflugerville has the opportunity to show that unity is possible, even when we don’t all agree. We won’t all agree on politics, the details of how to raise our kids, or which sport is the best to watch on TV (if you watch any at all), but we can seek to love each other and our neighbors by working together to serve others. I’m grateful to have worshipped with Pflugerville UMC. I like thinking about the mix of people who are a part of the church and how they care for each other, even challenging each other when necessary. When I think about the future of Pflugerville FUMC I see so many possibilities. There is hope for an even greater future. The city of Pflugerville is a wonderful place to live. There are many in the community who have yet to visit Pflugerville FUMC. I pray that they continue to find the warm welcome I encountered when I arrived on staff. I pray that the members of the church continue to share the love of God with others in the community each and every single day. May God be with us, bless us, and guide us so that we can love others more deeply and serve others more faithfully. I send you greetings and congratulations as you celebrate your 35th anniversary as a United Methodist congregation. While my time with you was brief, I have very fond memories of your many commitments as a faith community, your support of me as pastor, your many kindnesses to me and my family, your welcome of me into your family celebrations and remembrances, your fabulous staff, and many treasured friendships. As FUMC is now a “thirty-something,” my prayer is that you are becoming more and more aware of both your strengths and your weaknesses as a faith community, and that your membership and identity is becoming more and more reflective of the rich diversity of people in the Pflugerville community as a whole. I look forward to hearing of the many ways FUMC Pflugerville is a beacon of life, love, hope, faith, acceptance, justice, and all manner of good as you follow in the footsteps of Jesus. The council decided to organize the church administratively as a church council and around the Five Practices of Fruitful Congregations identified by Bishop Robert Schnase as Radical Hospitality, Passionate Worship, Intentional Faith Development, Risk Taking Mission and Service, and Extravagant Generosity. The Nominations and Leadership Committee has identified leadership for the coming year in accordance with the new structure, which will go into effect January of 2013. In an effort to expand and provide an even higher standard of care for our babies, toddlers, and young children, we are now providing an on-site nursery and childcare director to work alongside our childcare workers. We are also moving the nursery from the education building to the sanctuary building so that parents and grandparents will be able to worship knowing that their children are literally in the "next room." I continue to be impressed with the variety of ways this congregation is in ministry. This year we moved, assembled, and installed a great new playscape for the children and installed showers to enable us to house overnight guests. We've also offered a variety of classes ranging from Bible studies to "Parenting with God" to "Growing Your Marriage" to "Caring for Caregivers" and have many other groups who gather weekly to pray, quilt, crochet, fellowship, and practice yoga. Our Servant Angels are constantly providing food, care, and nurture, and our United Methodist Men actively fix, build, and serve locally as well as sponsor church-wide mission projects. We also host families through Interfaith Hospitality Network with our partner congregation St. Mark UMC, provide a worship service monthly for the residents at Heatherwilde Care Center, and collect blue jeans and undies at the beginning of the school year, as well as school supplies for Fill The Bus. The congregation also came together to put on the Pfamily Pfall Pfestival, which raised money for additional outreach and mission projects. We continue to provide the community with a high quality preschool, now known as the Pecan Street Christian School to include the kindergarten class we added this year. Now over 10 years old, the Pecan Street Christian School currently has 148 students and employs 24 teachers and staff. I look forward to the coming year as we focus our efforts on the five practices with a special emphasis on radical hospitality and passionate worship. I feel very blessed to be a part of this community of faith and am looking forward to our ministry in the coming year as we also celebrate the 30th (now 35th) birthday of the church in May. My life was greatly transformed during my time at First United Methodist Church of Pflugerville. At the age of 39, I was stuck in my grief, broken and wounded from all that I had experienced. It was loss after loss, death after death. When I was 13, I aspired to become Sister Elizabeth. At the age of 16 that desire changed when my dad fell to his death. Then my sister died, and my best friend was in a coma from a car accident. My life was no longer the same. Thank goodness my coaches took me under their wings and helped me make a way to be the first in my family to attend college to become a teacher and a coach. However, the deaths didn’t end. During my first year teaching and coaching at Pearsall High School, one of my athletes and two others committed suicide. Then one of my athletes was murdered during track practice. I was devastated, and I grieved. Without a church and without the assistance of the school district’s support, I felt like God had left me in the desert for about 14 years until I was sick and tired of living an unfulfilled life. I searched out church after church, and it was this church, First United Methodist Church of Pflugerville, that showed me immediate love and compassion when I walked through the doors in 1996. I was broken and wounded and in need of healing. About the same time, my 6-year-old nephew, Kelly, needed prayers for healing, and this church responded. 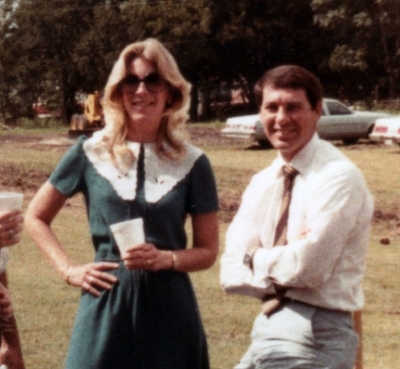 Frank Wolf was pastor at the time, and his wife, Marian, didn’t let me sit alone and cry. It was her presence and not her words that gave me the invitation to stay and not run. I bore so much unforgiveness in my soul that through this church, my Emmaus Walk, and 10 years of Kairos prison ministry I found much healing. Through the many opportunities of serving at this church in the various ministries, I grew spiritually, and I found Liz Klar again. This song, “For Those Tears I Died,” by Marsha Stevens-Pino became my mantra on which I will forever stand on when I think about my journey through life. There was a peace that passes all understanding when this song was sung on my Kairos weekends and monthly reunions and eventually at this church. Every word was exactly how I perceived God to be during my life; at times wondering where God was; at times wondering if God would ever show His face again to me; and at times wondering if God truly cared. God used every part of my journey, the good, the bad, and the ugly times for His glory. God waited patiently for me to come back and say yes to Him. This church and many others became the hands, feet, and voice of God wooing me back into a relationship and into a life of healing and serving. When God called me to ordained ministry, and I said yes to that call, it was not only my sisters and brothers in this church, but it was also my Tuesday night small group, my family and friends, and all the pastors (Nancy Mossman, Monte Marshall, Kathryn McNeely, Valerie Vogt, and Wade Lindstrom) who nurtured and affirmed my call along the way. On June 12, 2016, the Rio Texas Annual Conference and the church affirmed God’s call on my life as an ordained deacon serving in the ministry of hospice and hospital chaplaincy. Frank Wolf and other leaders of the church laid hands on me through the power of the Holy Spirit ordaining God’s call that started at my baptism. I get awestruck and emotional when I think of all who have been on this journey with me. This is a culmination of years of hard work and the result of your love and support. My passion as an ordained deacon is to walk the journey with the needy, the broken, and the lost who are struggling emotionally and spiritually. Jesus’s ministry was all about loving people wherever they are and in whatever condition, and I desire to do the same. 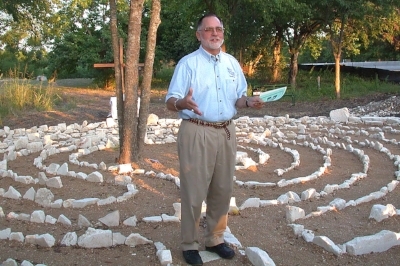 During my process, I served Kairos for 12 years; I served as a chaplain at Texas Health Harris Methodist Hospital in Fort Worth and with Community Hospice of Texas; and I am currently serving as the bereavement coordinator for Community Hospice of Texas and Affiliate Providence Hospice. For now, this is where God has called me to serve, but my call is to journey with the least, the lost, and the lonely. Who knows where God is leading me next? I will never be able to repay the kindness, support, and love that you offered on this amazing journey. I offer my sincere gratitude and love and ask that you never stop bearing witness to the hope you have in Christ through your generous living. I am thankful for each of you, and pray that others can feel the love of God through your work in the world. God’s reign is near, the harvest is plentiful. All lives matter and all are in need of LOVE!